A measuring jug for mixing fuel. 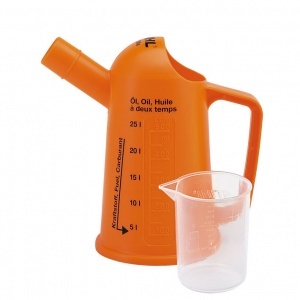 Available in two sizes, these measuring jugs from STIHL are designed for preparing fuel mixtures. Choose between the 5 litre or 25 litre capacities. Note: The picture shows both measuring jugs - you will only receive the size you specify.